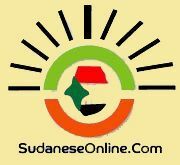 In the mid-1980s, thousands of Sudanese boys escaped the country's civil war by walking for weeks, then months and finally for more than a year, up to 1,500 kilometers across three countries. The so-called Lost Boys of Sudan had little time for games. But one of them later mastered the game of chess, and now teaches it to children in the New York area. “It is very important to control the center of the board…,” Majur Juac tells his students. Juac has made the leap from being a refugee in Africa to a master chess champion in the United States. His job is to share his expertise with students in public and private schools, chess camps and other events. During Sudan's civil war, Juac, a Dinka tribe member, was forced out of the country with 20,000 other so-called Lost Boys. He fled to Ethiopia, then to Kenya, where he was in a refugee camp for eight years. It was in Kenya that he learned to play chess. Juac described a dangerous journey in which half the boys did not survive. To eat, they had to kill wild animals. “There was animals while we were walking and there was about a thousand-mile walk, and sometimes there was no water. And when the kids were in Ethiopia, we have to go back and cross the river and in that river a lot, a lot actually drowned. People didn’t know how to swim,” he said. Juac arrived in the United States in 2004 and began working as a security guard. Winning a chess tournament gave him this teaching opportunity. Juac believes chess helps prepare young people for life. Public School 153 second grade teacher Julie Cathone agrees. “It definitely helps them with math skills and it helps them thinking ahead and planning before they make a move and that’s the key to chess and that is the key to learning, definitely," said Cathone. The school's principal, Meghan Kelley, said Juac and chess have made a big difference. “What a role model. I mean when you think about just overcoming, when we think about finding what you love and turning that into your life’s work. The way he interacts with the children is amazing,” said Kelley. Juac said he enjoys the freedom he has in the United States as much or more than his love for chess. But his passion is playing and teaching chess to youngsters. His boss, Michael Propper, said Juac has one great advantage. “I think he’s believable. I think they look at him and he’s so unassuming that they feel like they can do what he’s doing and that it’s plausible to them that as great as he is and as humble as he is, that perhaps they can be too," said Propper. Juac still has a big goal ahead of him -- becoming an international chess master. With his proficiency and patience, Propper and his peers have no doubt that will happen. No hate but looking for justice By Izzadine Noul Arbab "Izzadine Abdul Rasoul "